The design of SAMBA was decided in september 1993. The main decision was to choose the target technology: programmable or custom architecture. It was decided to design a systolic array with fully dedicated processors to get high performance and minimize the design of a programming environment – a task which usually requires a lot of efforts. The sequence comparison on a linear systolic array proceeds as follows: one sequence (the query sequence) is stored into the array (one character per processor) and the other sequence flows from the left to right through the array. During each systolic step, one elementary matrix computation is performed on each processor. The result is available on the rightmost processor when the last character of the flowing sequence is output. 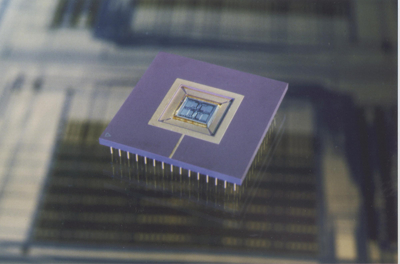 SAMBA comprised a workstation (with its local disk), a systolic array made out of 128 VLSI full custom processors and a FPGA-Memory interface which fills the gap between a complete hardwired array of processors and a programmable Von Neuman machine. 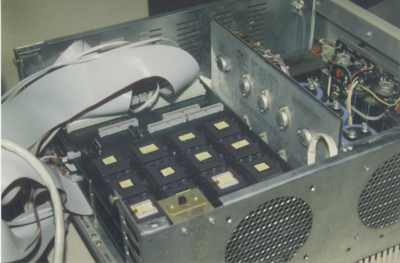 The array was composed of 32 full-custom identical chips, each housing 4 processors, and leading to a 128 processor array. 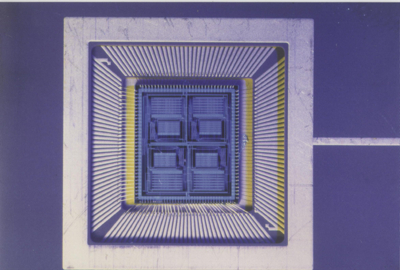 The chip was designed at IRISA and was providing a computational power of 40 millions matrix cells per second. Hence, the complete array was able to reach a peak performance of 1.28 billions matrix cells per second.